There’s something to be said for creating permanent bonds. Consumers spend a lot of money each year on glues, tapes, cement, and other adhesives that will bring things together. But sometimes, you want to remove those powerful bonds, and this requires substances that are equally as strong. 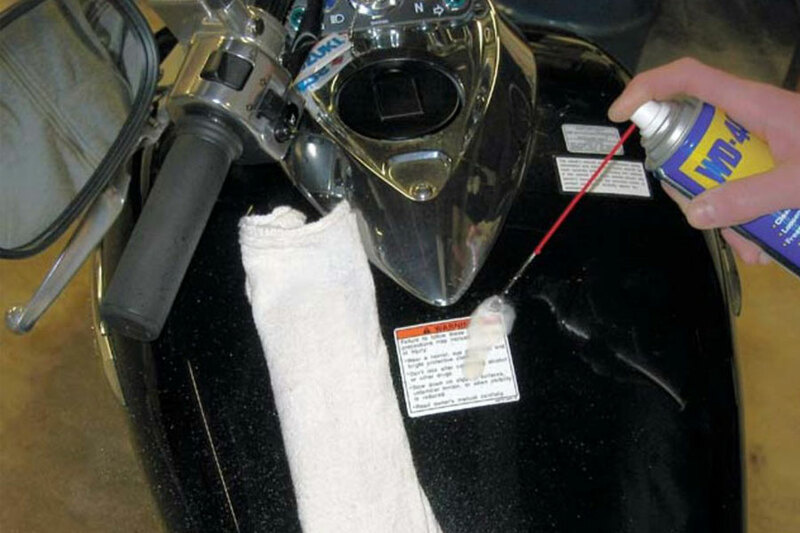 There are a number of different adhesive removers out there, and what you choose is going to depend upon what you need to remove, and what application method you prefer. There are bottles, cans, tubes, and sprays, and they all come in different sizes and strengths. Removing stickers and tape is one thing, and removing dried latex paint is quite another. You want to find a formulation that works on a number of different surfaces effectively, such as floors, carpets, furniture, glass, plastics, and clothing. Many removers are also effective at taking-off crayon, magic market, ink, lipstick, oil and grease as well. Goo Gone is the go-to adhesive remover for small little sticky bits around the house. Especially good for those who have kids, Goo Gone works to remove pesky stickers on bedroom walls, crayon, tape, gum, and price labels that just never seem to come off of the bottom of that new antique you purchased. Goo Gone® Pro-Power® eliminates the most challenging messes, and the one gallon size is economical and handy. You can even remove caulk, silicone, varnish, wax, and glue. Considering the power of this handy product, you better believe that nothing is permanent any longer. This is also a great choice for those who like crafting and need to fix something that was a bad decision. The large size of this remover makes it ideal for commercial use, as well as residential use when it seems like you’re seeking the assistance of Goo Gone on a regular basis. 3M is a trusted brand in adhesives and removers, and this 12oz tube is great for all your general purpose removing needs. In fact, you get 100% removal from glass and metals. Some consumers warn that this formulation is perhaps not as well suited to plastics, as it may leave just a faint hint of staining behind. It’s also a great choice for removing paint scuffs from the exterior of your car. Everyone brushes their vehicle into a garage post from time to time, and this 3M remover is one of the best at cleaning the streaks off of your car. All in all, this remover works on a nice variety of materials quickly and effectively. The 12 oz. tube will most likely last you quite a long time, or will fulfill a couple of larger projects. Great to have around the house just in case something gets covered in adhesive when you didn’t intend for it to. Everyone goofs-up a project around the house from time to time, and it’s best to be fully prepared for when this happens. 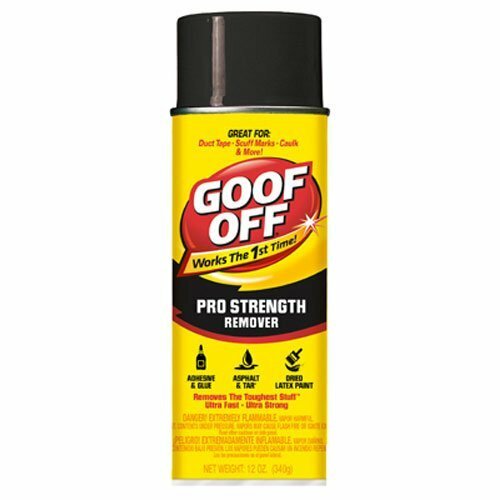 Goof Off is a great adhesive remover of professional strength, and is perfect for when you’ve messed something up in your garage or workshop. Ordinary household cleaners can’t clean up the kind of messes that Goof Off can. It works very quickly, and is easy to apply and incredibly effective. Designed to remove gummy messes, dried paint, grease, tar, tough stains, and glue. Just when you thought you needed to call in a professional to clean up that mess, there’s now a more economical and easy way to clean the goo yourself. Safe to use on carpet, upholstery, clothes, and a wide variety of different surfaces. Gone are the days where you had to put up with unsightly lipstick stains, tree sap, caulk, scuff marks, candle wax, and chewing gum.